Learning the multiplication tables is crucial for your child becoming a confident mathematician. The app contains a variety of fun activities. With regular practice not only will they be able to quickly recall all multiplication facts up to 12× . They will also be able to solve the corresponding division problems. Factor pairs are also covered which become crucial when moving on to more advance topics such as algebra. Every Mathematics curriculum around the world now recognises that students need to master addition and subtraction facts up to twenty. Once these have been mastered it is easy to extend to higher numbers. The bar math system makes it very easy to explain different strategies. For example counting on or counting back, or showing why adding nine to a number is the same as adding ten and subtracting one. 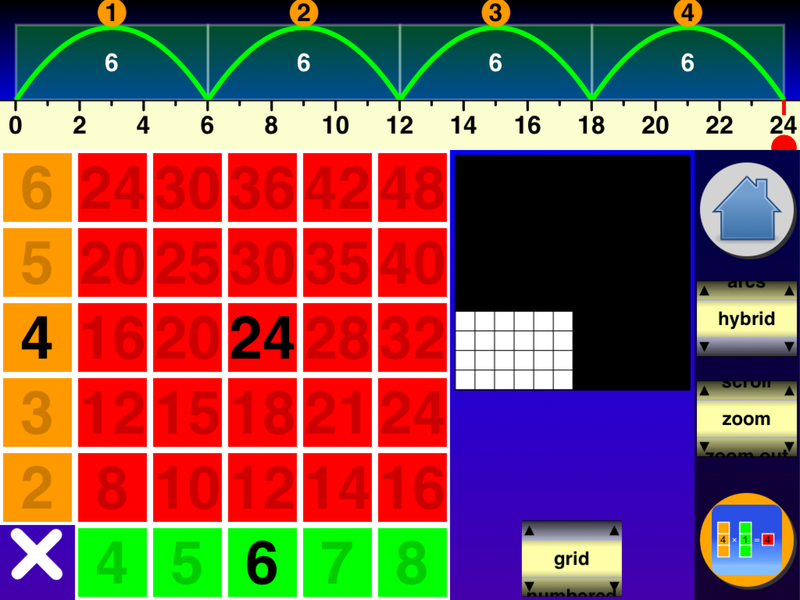 With the skills acquired in the first two apps, beginning fractions is easy. Simply as fractions are represented on the number line using the same bar system. The four rules addition, subtraction, multiplication and division work the same way. Students already have visual understanding. The app activities cover equivalent fractions, conversion between fraction types such as improper fractions and mixed numbers. Eventually covering each of the four rules. The apps provide different ways to understanding mathematical concepts. This means that students can investigate and discover patterns. This helps them to commit number facts to memory as they are doing more than simply rote learning. All the apps are built around learning milestones. 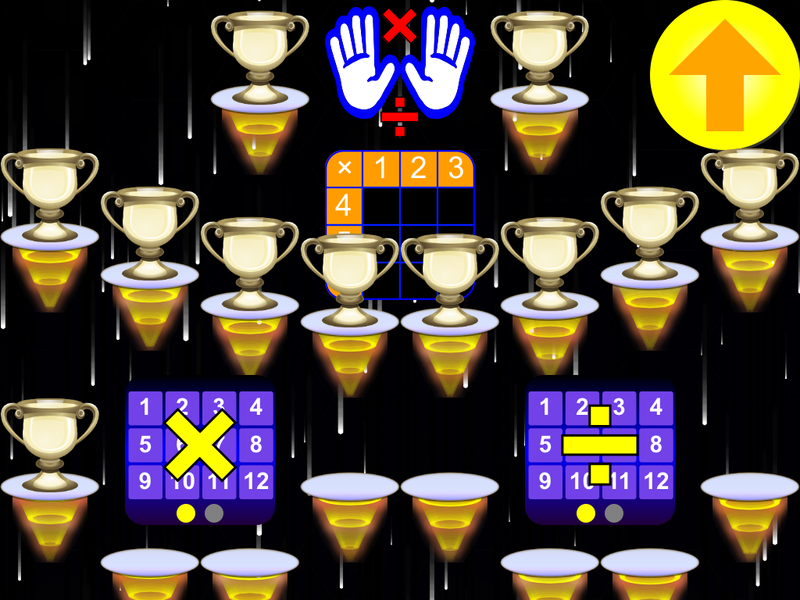 So for example in the multiplication app, completing questions on the two,five and ten times multiplication tables correctly in a given time. A trophy is placed in the cabinet so the user can see their progress and start trying for the next milestone. Some activities are designed to be practiced time and again to improve on speed and accuracy. 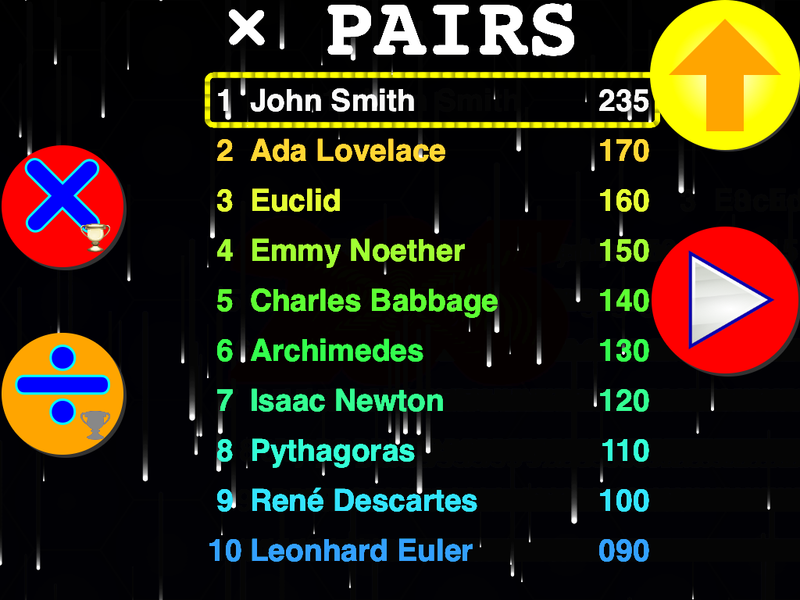 In this case a high scores table motivates students to try and beat their personal best or the best score of their peers.